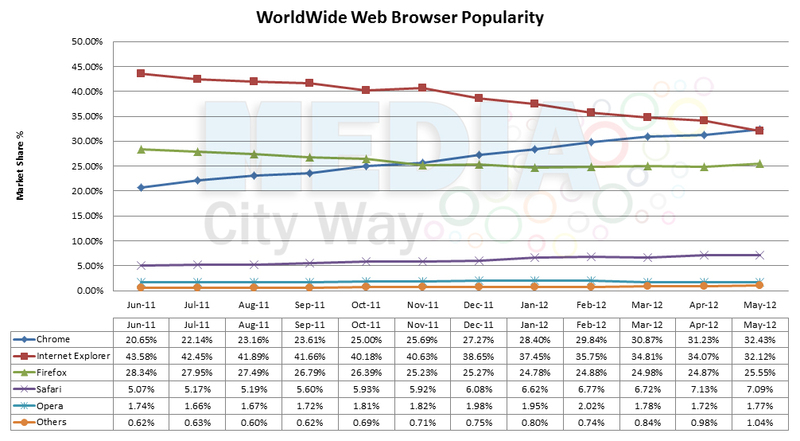 This week our team have been looking into web browsers and in particular which is the most popular browser worldwide. The big names include Internet Explorer, Google Chrome, Mozilla Firefox, Safari and Opera. There was a time when Mozilla Firefox looked as if it would take over the market share until September 2008 when Google released Chrome. Since its release Chrome has gone from strength to strength and reports now show as of May 2012 Google Chrome is now the most popular web browser used worldwide after just taking the lead from Internet Explorer. Which web browser do you use? and why? What are your predictions for the future?